Game 4 - Grizzlies at Blazers, April 27, 7:30 p.m.
What: The Grizzlies are in Portland looking for the sweep over the Blazers. When: Monday, April 27 at 7:30 p.m. (PT). This series: Grizzlies lead, 3-0. Fact: The winner of this series will face the Golden St. Warriors in the Western Conference semifinals. The Warriors swept the New Orleans Pelicans in their first round series. Note: Coverage in Portland on CSNNW will begin with Rip City Live at 6 p.m. Following the game on KGW, CSNNW will air Talkin' Ball followed by Trail Blazers Pulse. Pictured above: Grizzlies' Courtney Lee; Blazers' Nicolas Batum. Links: Kasey takes a look at the ridiculous and false claims of fans jumping off the bandwagon. The Grizzlies finished 55-27 overall and 24-7 on the road this season. They averaged 98.3 points (17th in the NBA) and allowed 95.1 (2nd). The Grizzlies finished second in the Southwest Division and earned the fifth seed in the Western Conference playoffs. The Blazers finished 51-31 overall and 32-9 at home this season. They averaged 102.8 points (8th in the NBA) and allowed 98.6 (8th). The Blazers won the Northwest Division title and earned the fourth seed in the Western Conference playoffs. 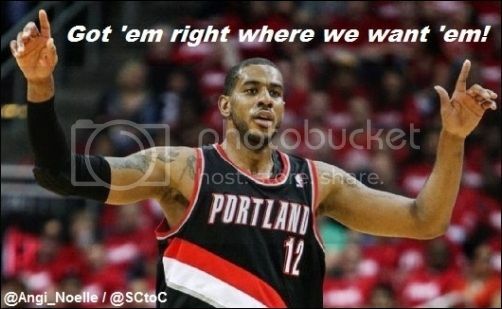 Blazers: LaMarcus Aldridge 32 pts; LaMarcus Aldridge 14 reb; two with 4 ast. Grizzlies: Beno Udrih 20 pts; two with 11 reb; two with 7 ast. Blazers: LaMarcus Aldridge 24 pts; LaMarcus Aldridge 14 reb; Nicolas Batum 7 ast. Grizzlies: two with 18 pts; Zach Randolph 10 reb; Mike Conley 6 ast. Grizzlies: Marc Gasol 25 pts; Marc Gasol 7 reb; three with 4 ast. Blazers: Nicolas Batum 27 pts; LaMarcus Aldridge 7 reb; Damian Lillard 9 ast. 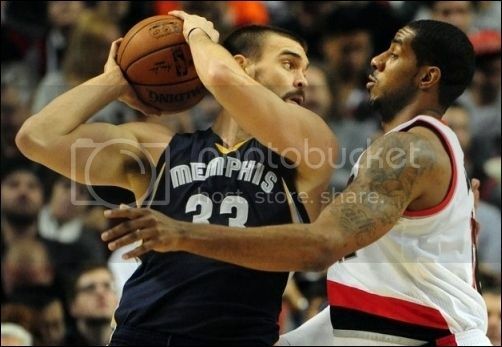 Grizzlies' Marc Gasol; Blazers' LaMarcus Aldridge. NOTE: For the playoff stats after game 3, we are not using minimums for the statistical leaders. However, if a player made 2-2 from the free throw line and another made 1-1, the player who made more and attempted more is listed as the leader. For the regular season, we use a different standard than the NBA for the individual regular season statistical leaders. Our leaders apply to players who have played half of their team's games (41), as well as other basic statistical minimums. Leaders who are listed as "out" due to injury are not listed. Memphis is looking to sweep the Blazers and punch their ticket to the Western Conference semifinals. They will have to do it without their floor general, Conley, who will undergo surgery to repair fractured bones in his face. Conley took an inadvertent elbow from McCollum in the second quarter of game 3, and was later taken to a Portland hospital. Gasol had his best game of the series in game with 25 points. Lee added 20 and has been a thorn in the Blazers side on both offense and defense in each game of the series. Randolph has been somewhat effective in the series, but could be due for a strong game any given night. Without Urdih in game 3, the Grizzlies turned to Calathes off the bench and he came through with 13 points. Allen and Green have had their moments, and Koufos has been affective in spelling Gasol and Randolph. There is nothing like a due-or-die game, but Portland was not looking for game 4 to be it. Four Blazers scored 21 or more points in game 3, but there was little offensive punch elsewhere. Batum set a new career playoff high with 27 points, including going 6-12 from behind the arc. McCollum scored 26 with 10 of those coming in the fourth quarter. Lillard woke up and scored 22 to go along with his 9 assists and will need to at least duplicate that for the Blazers to have a chance. Aldridge struggled from the floor, but contributed 21 points 7 rebounds and 5 assists. Leonard, who had been a bright spot in the first two games, played just five minutes, which had fans scratching their heads regarding Stotts' substitution patterns. Lopez has focused on the defensive end of the floor, which has taken away from his offensive potency. Kaman did some nice things in his time on the court and the Blazers will need him even more in game 4. Defend the three, contain Lillard and force the Blazers to take contested shots. Lillard takes advantage of Conley's absence, make 12 threes and dish out at least 24 assists. Zach Randolph vs. LaMarcus Aldridge. Grizzlies center Marc Gasol: "Without Mike, without Beno, I know how competitive we are. I'm sure guys will be ready." Blazers forward LaMarcus Aldridge: "I've got to give credit to Memphis, they definitely forced us into some tough shots. I was watching film from the first half: Every time I took a shot they had a guy right there, and sometimes three guys. They have some defensive goals and it's tough." 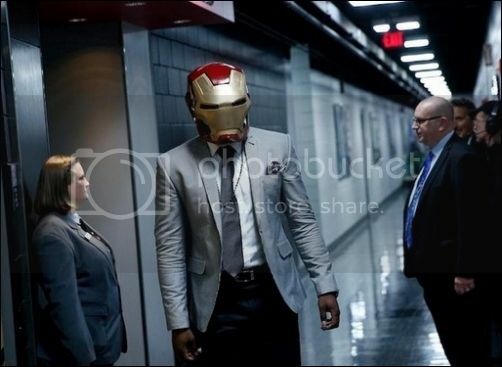 Wesley "Iron Man" Matthews delighted fans prior to game 3 when he entered the arena wearing a mask from the movie Iron Man. It was Matthews first appearance at Moda Center at the Rose Quarter for a game since he tore his Achilles on March 5 against the Dallas Mavericks. Prior to Game four of the series between the Dallas Mavericks and Houston Rockets on April 26, TNT listed their "Playoff News & Notes." 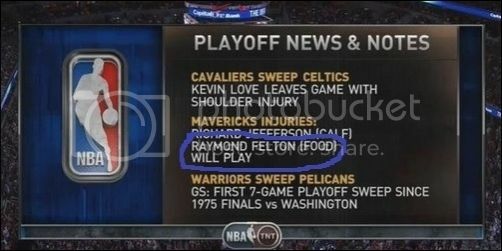 Blazers fans can only acknowledge and shake their heads at former embattled Blazer Raymond Felton's "Food" injury. we've got to win this. i do not want us to get swept by a team which got its start in Canada! Conley being out could help us, but we really need to move the ball around and shoot better as a whole than we have shot in the first three games. 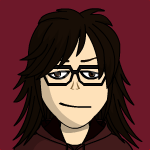 I don't want the series to be over get. Maybe all of our guys good shoot well tonight. Let's get the win. Practice is done. Have a team meeting, then headed to meet my dad and watch the Blazers game! Let's win tonight. Go Blazers! Need to get the W. Let's avoid a sweep. Sloppy start for the Blazers. We are still not taking high percentage shots. It's starting to get better with points in transition. Defense is much better right now. Leading to easy transition buckets! We recovered from a tough start. Got to keep this up.